Summary: MoneyGaming is a top online and mobile casino with top table, slot and skill games. MoneyGaming casino is one of the most popular online casinos in the UK. The online-only brand brings together fast, enjoyable gaming across a number of compatible devices including, desktop, tablet and mobile phones. At MoneyGaming, slot machines are a speciality with a wide range of different themed slots with different reel numbers and paylines available. The site also offers different variations of blackjack, roulette and other casino games. If playing via a PC or laptop, games are played using the web browser (no software to download). The games load quickly and stream in high quality. The mobile-device version of MoneyGaming is stable, quick-loading, excellent and equally as entertaining as their full site. MoneyGaming offers great customer support and life-changing sums of money with MegaJackpot games. When it comes to a wide selection of games, you can be satisfied that MoneyGaming will take good care of you. 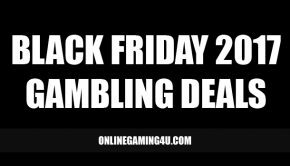 Its collection of over 300 different games spans a number of different genres, from the traditional casino based games through to the less conventional and exclusive games you won’t find anywhere else. The gaming experience is intuitive and simple, with games loading quickly in-browser. The quality of game design and layout is excellent, and the sheer range of alternatives across multiple different categories makes it a clear stand-out-from-the-crowd type site. Sign-up bonuses, incentives and payouts are generous at every level of gaming for all players. MoneyGaming offers some great rewards and loyalty bonuses in addition to the usual casino welcome offers. The welcome promo that is on offer at MoneyGaming is one of the most transparent bonuses in the industry. When you sign up and deposit money the bonus will be credited to your account instantly. No catch. No jargon. No sneaky terms. The progressive jackpots on offer through MegaJackpots games can be truly life changing. MegaJackpot games offer bonuses that are bigger than regular games. The reason for this is because the jackpots are usually shared across a number of games. The games share one pot where a percentage of the stake is added to the central pot when a player plays. This slowly increases the amount that can be won overall because there are more sources adding to the figure. 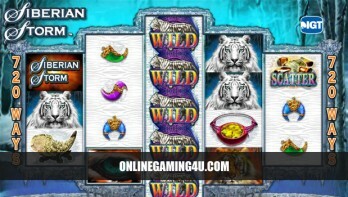 The jackpot is available on a number of different games (usually slots) and can be won at any time, on any selected game. 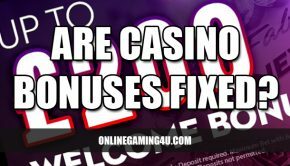 One of the most appealing factors when it comes to online casinos in bonuses and the amount of free bonus cash casinos give away to customers. MoneyGaming is one site that stands out massively from the rest in this band. They have a wide selection of different casino bonuses from seasonal no deposit bonuses to generous welcome bonuses and vip schemes. However, one of the reasons why this site appears to be so popular with players in the UK is the emphasis on other bonuses such as loyalty bonuses, rewards and unique exclusive promotions such as happy hours and sprint bonuses. There’s nothing more frustrating than being told the old cliche “new customers only” when it comes to servce providers. And online gaming is no different. A lot of online casinos only offer welcome bonuses and new player sign-up bonuses to customers and nothing more. MoneyGaming does things differently. 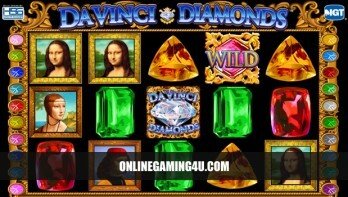 They focus on rewarding loyal players with weekly bonuses and incentives for those who play regularly. For customers with a technical or support issues, there’s nothing worse than being fobbed off with an email or an out-of-hours message. You want instant help around the clock to solve your problem so you can get on with your gaming. MoneyGaming have nailed this often-overlooked aspect of customer service, and you’ll find the support mechanisms very easy to use, and very direct in getting to the root of your problem. For hassle-free gaming across a range of different genres and styles on a number of devices, for robust jackpots and genuinely strong customer service, for one of the more positive gaming experiences on the web, you could do no better than MoneyGaming casino. MoneyGaming online casino started out by offering desktop gaming only. But as the market shifted towards mobile devices such as smartphones, iPhones and tablets, so did the demand for gaming online. 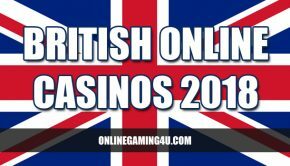 The UK seen a massive increase in mobile online casinos from top brands and bookmakers. So it was only right for the team at MoneyGaming to adapt to this demand and provide mobile gaming to its customers old and new. The mobile platform offers the same great range of games as the desktop casino and tablets with full browsers with the ability to run flash can even run the full desktop casino on the move. What’s more is the speed of gaming at their mobile casino offering is one of the fastest available in the UK. The software providers work closely with the backend team to ensure they are providing rhe absolute best service when it comes to play games on your chosen device. MoneyGaming.com is owned and operated by GameAccount Global Ltd, a London-based gambling software developer and service operator with several other online gaming properties to their name including GameAccount.com, which allows human players to connect and compete in skill based gambling games. 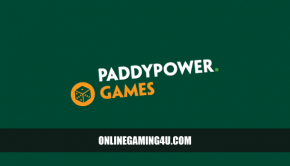 While the parent company GameAccount Global Ltd. is registered and managed from London, MoneyGaming.com is regulated in Alderney by the Alderney Gambling Control Commission. New players to MoneyGaming Casino can enjoy this exclusive bonus on PC or mobile.